“Beans beans, they’re good for your heart. My granny passed away April 15, 2010 with Congestive Heart Failure along with several other cardiac ailments and Alzheimer’s, but Popaw, soon age 94, (Remember Carl None Hamilton?) is fit as a fiddle, except for a widower’s broken heart. Despite our frequent bean consumption, Appalachia has never been known as a health-conscious region. We’re infamously self-destructing via drug and donut addictions. Even with dangerously elevated cholesterol levels, abnormal ECGs, and overall pitiful cardiac checkups, this nurse is still more concerned about the mountain folks’ proverbial hearts. Kentucky, West Virginia (my birthplace), and Tennessee—all states I’m so very fond of—are always high-ranking in divorce rates. If only heart health was as simple as Meatless Mondays and religious gym attendance! Granny and Popaw were married on April 13, 1946… a total of 64 years almost exactly to the day. From my own blessed marriage and a multitude of thriving examples dear to me, I am certain that a happy, healthy marriage stems from two “heart-healthy” individuals. 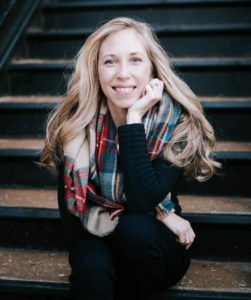 What we harbor in our hearts… be it kindness, devotion, and sacrifice or impatience, pride, and contempt… will undoubtedly be evident in our relationships. 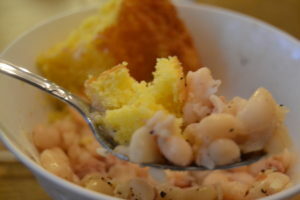 Navy Beans (and of course, cornbread). We hosted a gender-reveal party for some family this past weekend, and I was way too excited for ham scraps. 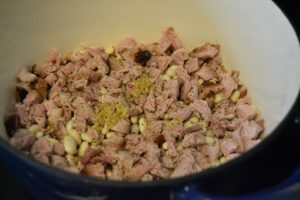 I started planning the subsequent leftover supper of navy beans and cornbread when I first picked up a ham at the grocery. Good scraps=good flavor. Plus, my husband is not naturally benevolent to a dinner of just beans, so the ham makes us both happy. 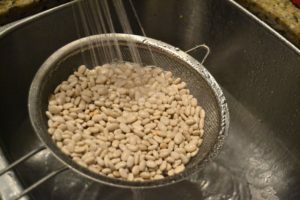 Preparation begins the night before with a bean rinse and soak per the package instructions. I removed the overly brown beans and the floaters. Add about 7 cups of hot water and bring to a simmer. 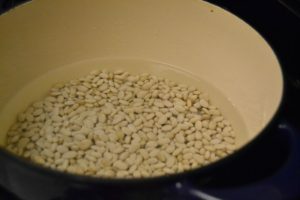 Cover the pot with the lid tilted and cook until the beans reach desired tenderness (approximately 1.5 hours). Stirring occasionally. 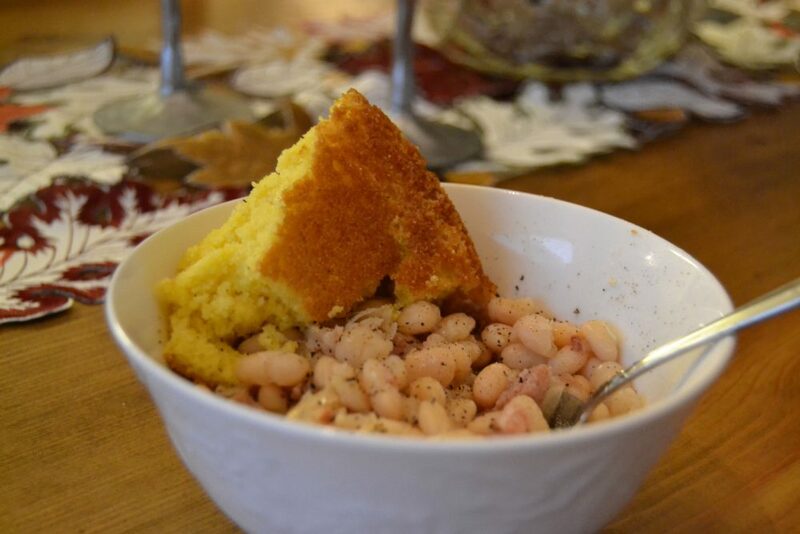 Serve with cornbread and savor on cool October evenings. God bless! Prepare beans according to package instructions. Add beans and all other ingredients to stock pot. 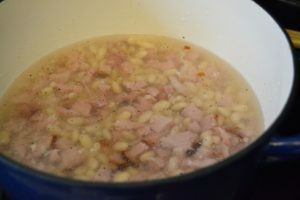 Simmer and cover with lid tilted until beans reach desired tenderness (approximately 1.5 hours).